The European Neutrals and NATO. Non-alignment, Partnership, Membership? 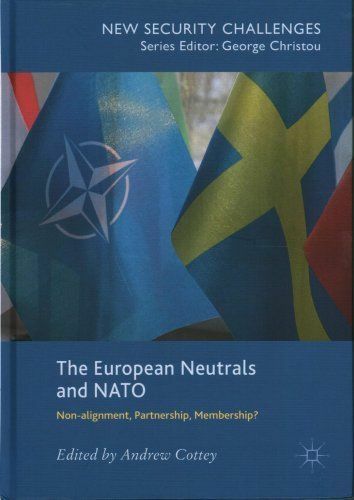 This book provides the first detailed comparative analysis of the unusual partnership between the main European neutral states and NATO. Neutrality and alliance membership are fundamentally incompatible, but through the vehicle of NATO’s post-Cold War partnerships the European neutral states and NATO have found a way to bridge this gap and cooperate with one another. Based on case studies of Austria, Finland, Ireland, Sweden and Switzerland written by leading experts, this book explores the detail of each country’s relationship with NATO, the factors shaping those relationships and whether any of these states are likely to abandon neutrality and join NATO. The book also contributes to broader work on foreign policy by exploring different explanations of the European neutral states’ foreign and security policy choices. This book will be of interest to scholars of the European neutral states, NATO and European security, as well as to those interested in understanding the dynamics behind states foreign policy choices.